Here I am in Nagasaki again! 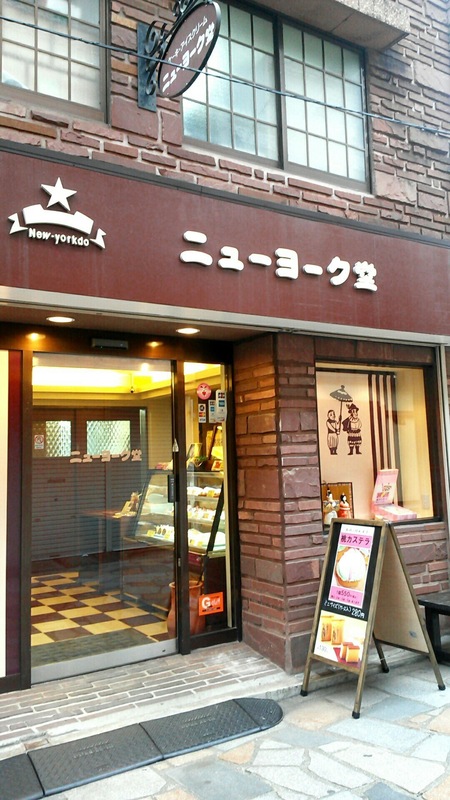 Today I will be showing you guys a great place to buy Kasutera Ice Cream Sandwich! 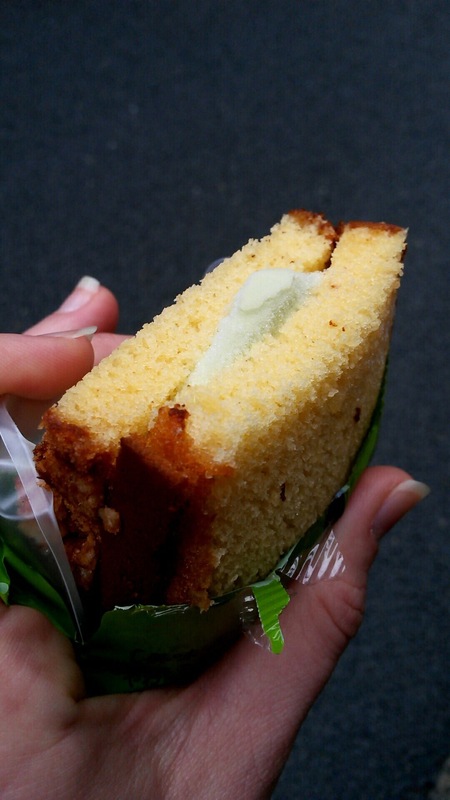 Now a specialty of Nagasaki, Kasutera is a popular Japanese sweet sponge cake. 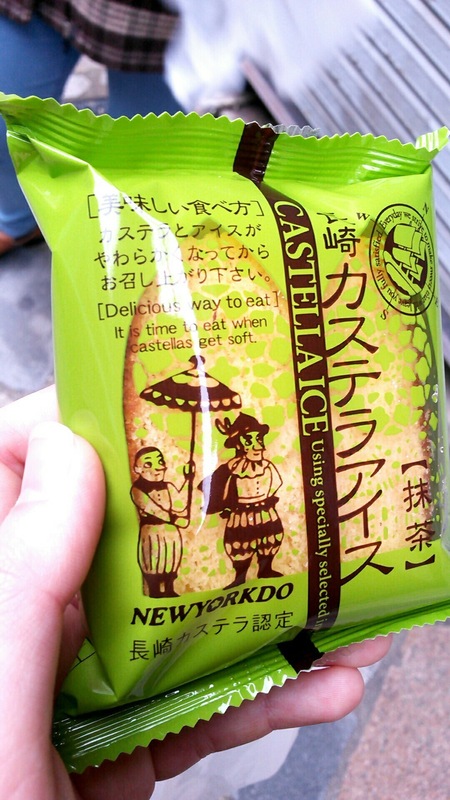 The name doesn’t sound Japanese because it came from the Portuguese phrase “Pao de Castela”. Traditionally, there were only honey flavor, but today there are all sorts of flavors including matcha and chocolate. Kasutera is available to buy in any souvenir shops and cafes in Nagasaki. I’ve had so many different flavors of Kasutera, but I never got to try Kasutera Ice, so I visited a store called New York Do. It is a 5 minute walk from Nigiwaibashi Station. As I entered the store, there were various types of snacks and a big freezer. Inside the freezer there was Kasutera Ice! They had 6 different flavors: Basic, chocolate, strawberry, matcha, biwa, and sweet bean paste. The first one the staff pointed out was the biwa (Ioquat) flavored out so my friend got that. I knew right away that I was getting the matcha flavored one. 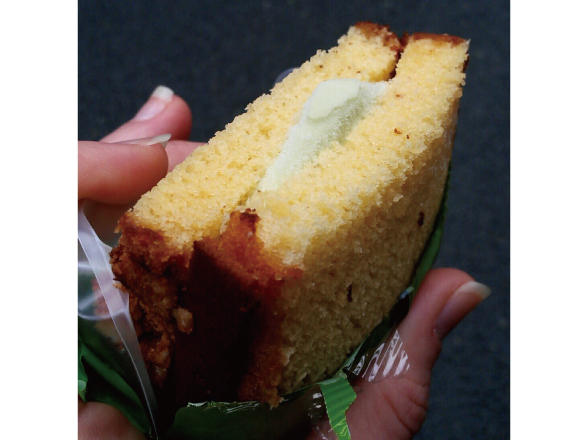 As I removed the Kasutera Ice from its wrapper, there was a scoop of matcha flavored ice cream sandwiched between two slices of Kasutera. The staff told us to wait 10 minutes before opening it, but we couldn’t wait that we started eating it. My advice for you is to wait 10 minutes before eating it because the ice cream wasn’t melted enough for me to be able to take a bite. It is better to defrost the ice cream by putting it between your hands. Not surprisingly, the Kasutera Ice was delicious! I think all of the ice cream goes well with the Kasutera because the cake itself tastes like honey. 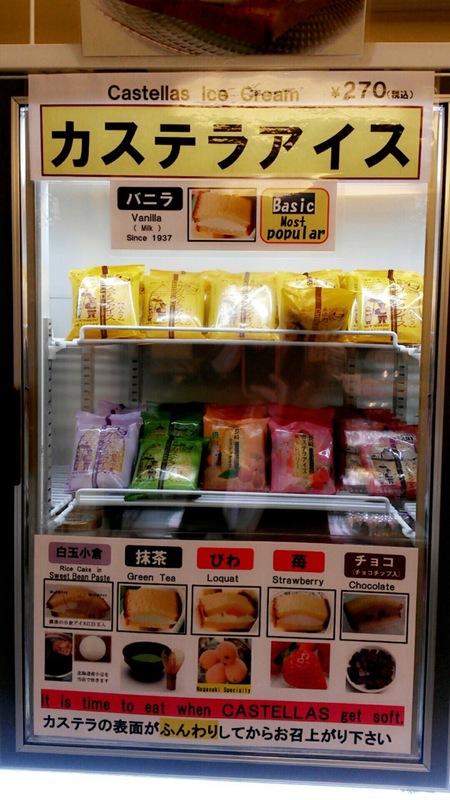 If you buy just the Kasutera, you can sandwich your own favorite ice cream and make an original Kasutera ice cream! Open: 10am – 6:30pm, Sundays til 5pm.